There is no doubt that Dr. Dre and Jimmy Iovine’s cultural contributions as music producers and entrepreneurs have transformed the landscape of both the music and tech industries. The complete breadth of their meteoric rise—both independently as creatives driven by a passion for music, and together as a dynamic entrepreneurial duo—is impeccably captured via filmmaker Allen Hughes’ original, vivacious storytelling for the four-part HBO docuseries The Defiant Ones. Hughes’ The Defiant Ones provides an empirical look at the professional evolution of Dr. Dre, founder and CEO of Aftermath Entertainment, and Jimmy Iovine, co-founder of Interscope Records, illustrating their ascension to modern-day mogul status. 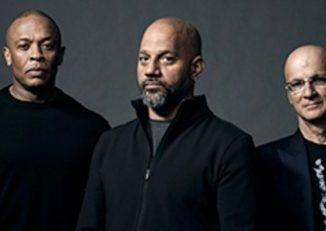 An unconventional “pursuit of the American Dream” narrative, Hughes says he was inspired by Jimmy and Dre’s ability to keenly focus on their own gifts and talents, leveraging all the qualities that made them unique to make their dreams come true. Their success as record producers and entrepreneurs is proof that mastery of this can ultimately create a foundation for high achievement for anyone in any industry. 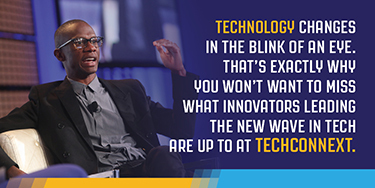 “They [Dr. Dre and Jimmy Iovine] taught me that identifying what your gift is or your passion, putting blinders on, and just focusing on that while tuning out everything else is the quickest way from A to B in becoming a success,” Hughes said, in his interview with BLACK ENTERPRISE. The docuseries highlights both Dre and Jimmy’s fearless approach to identifying fresh, raw talent as well as their relentless work ethic. While seemingly very different men, it’s clear that Jimmy and Dre’s mutual appreciation for pushing creative boundaries to challenge the status quo has paved the way to their success in the music industry. As sound engineers and music producers, each has had their hands in crafting the iconic melodies that define the generational soundtrack for the latter half of the 20th century and the new millennium. Their inherent ability to look past the trends of “the now” in order to cultivate the sound of the future is what enabled Jimmy and Dre to nurture the careers of numerous groundbreaking artists, such as Ice Cube, Eazy-E, and N.W.A; U2, Bruce Springsteen, Eminem, No Doubt, Snoop Dogg, Stevie Nicks, Tupac Shakur, Lady Gaga, and many others. As entrepreneurs, the successful launch of Beats Electronics and Beats Music modernized platforms for music consumption, raising the bar of expectation for how we hear and process sound by simply enhancing how we listen to music. Not to mention, Apple’s procurement of the Beats empire back in 2014 is still considered the largest business acquisition in history, reportedly costing the tech giant a cool $3 billion; thus validating Jimmy’s initial instinct to “f*** sneakers and do speakers” as right on the money—literally and figuratively. Like Eminem tells Hughes in the film, “Jimmy Iovine is the levitator; Dre is the innovator.” Independently, Dre and Jimmy have each demonstrated their musical genius and entrepreneurial prowess. However, when they come together and their powers combine, they are an unparalleled force to be reckoned with. From fostering the careers of some of the greatest artists of all time, to their shared entrepreneurial coup with Beats’ acquisition, Jimmy and Dre have done more than just move the needle of culture. In fact, I would venture to say that they’ve taken that needle and scratched it across the turntables of life, tattooing an incredible legacy into cultural consciousness by forging this revolutionary path of their own design. But why take my word for it, when you can hear straight from the mastermind behind the film? Check out BLACK ENTERPRISE‘s exclusive interview with Allen Hughes, director and executive producer of The Defiant Ones. Though the soundtrack for The Defiant Ones is rich with nostalgia, after a brief hiatus as a solo artist, the film’s release has given Dr. Dre a great opportunity to debut some new music. Check out his latest single “Gunfiyah,” featured in Part One of the four-part series. To learn more about The Defiant Ones, click here. For more information about how and where to watch the HBO docuseries, click here.